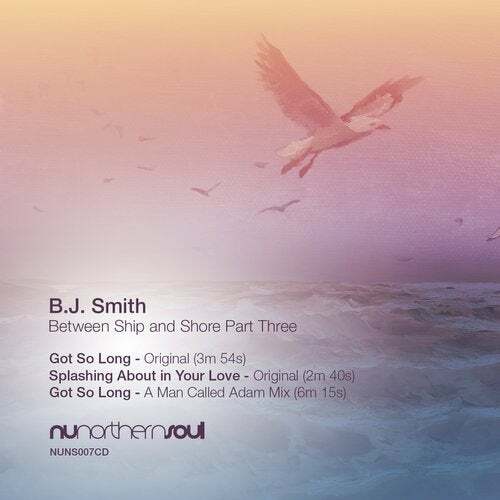 Ben Smith return with a raft of solo material after his debut release on NuNorthern Soul back in 2012. The Movedrill Projects saw Ben weave be-tween rock and folk roots and this latest projects sees Ben push the folk sound he has become known and respected for. Renown as a multi instrumentalist, B.J. Smith is perhaps best known for his wonderful Dedications to the Greats release which have seen him cover Mos Def, The Pharcyde and OutKast in his own unique style, Ben is also half of Balearic super duo, Smith and Mudd and one third of White Elephant with Jim and Chris from Crazy P.
This release forms part of a series of x3 12s and will include mixes from Jon-ny Nash and A Man Called Adam. Between Ship and Shore is a selection of folk songs that Ben has been craft-ing between his London home and summers spent in Cornwall and the results speak for themselves. One man and his guitar and his tales of time spent by the wonderful coastline of the South West of the UK and a hint of the Scottish Highlands. JJ Cale, Terry Callier and John Martyn all influence and inspire Ben, and this is apparent in his subtle yet powerful tales.